Hello! I’m back! Apparently I didn’t do too bad last time so I’ve been invited back to the blog! Lucky for you, we’re going to talk about something different but still stay within my realm of expertise – educational and after-hours programming. This is “Jayme talks about stuff” – Sleuths and Secrets edition! If you haven’t heard about this program, now is the time! If you have, shhhhh! Don’t spill anything! Sleuths and Secrets is one of my favorite after hours programs we offer. It’s great for anyone 12 and up and it speaks to me on a spiritual level. If you’re anything like me, you live for puzzles. If you’ve ever seen New Girl, imagine Winston-level love of puzzles. I get weirdly competitive and very intense. It’s my jam. Sleuths and Secrets is basically one giant puzzle. 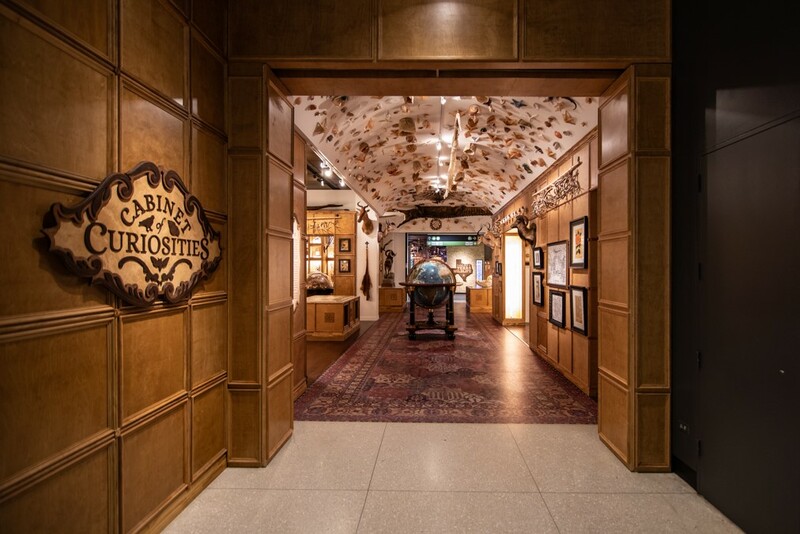 It forces you to use the Cabinet of Curiosities exhibit, your friends/family/coworkers/the random people you picked up off the street, plus a few other secret items to solve a centuries-old riddle and SAVE THE WORLD. Alright, the last part isn’t quite true but the rest of it definitely is. But seriously, we’re talking hidden compartments in walls, mysterious maps and seemingly indecipherable codes hidden throughout a room that looks like it belongs in a haunted mansion. 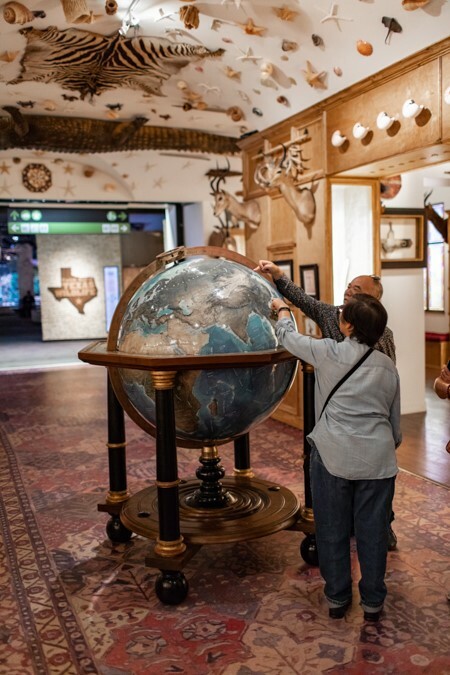 It’s a totally immersive experience and it’s probably the only time you’ll get to interact with an actual museum exhibit like this. We’ve had plenty of groups come and enjoy the program. From birthday party groups, to corporate team-building, to puzzle-loving friend groups, this program works for all sorts of occasions. 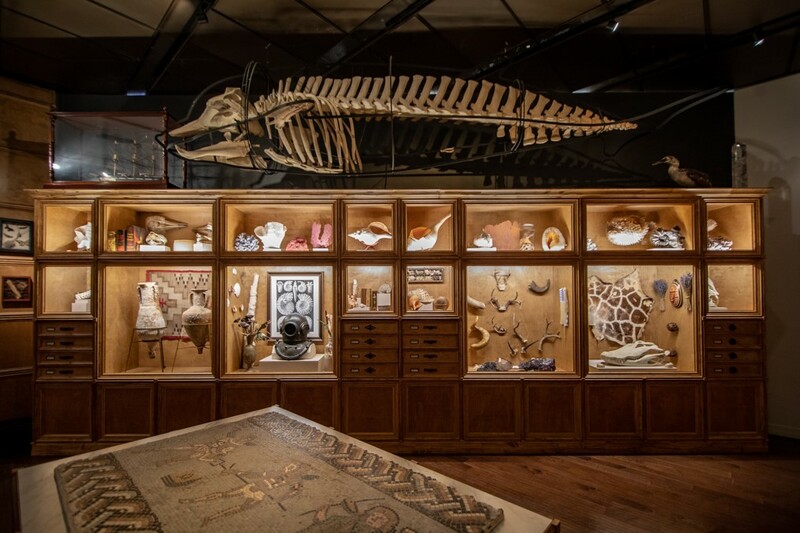 Plus, you get the added bonus of being in the museum after hours, which can be surprisingly eery…or cool depending on who you are. I personally love running these programs because my whole job is to trick you, then stand around and figure out where you’re doing it wrong and think of clever ways to help you… should you happen to ask the right questions. It’s a dream come true! Anyway, this program challenges you to think outside the box, use your best observation skills and communicate in ways you might not be used to. But really, this program is especially great for team-building because you absolutely will not succeed if you don’t work together. It’s just a fact. Surprisingly (or maybe not so much once you think about it) kids do much better at solving the mystery than adults do. Oh, maybe some of you out there think you can prove me wrong? Well bring it on! You can find more information about booking here, and let’s see if you’re right!